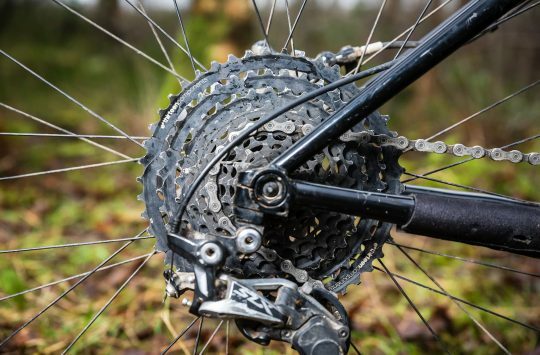 Looking for more range than both SRAM Eagle and Shimano XTR 12-speed? Well e13 has just jumped in to wipe the floor with a brand new TRS+ cassette that offers a yuuuge 9-50t ratio! 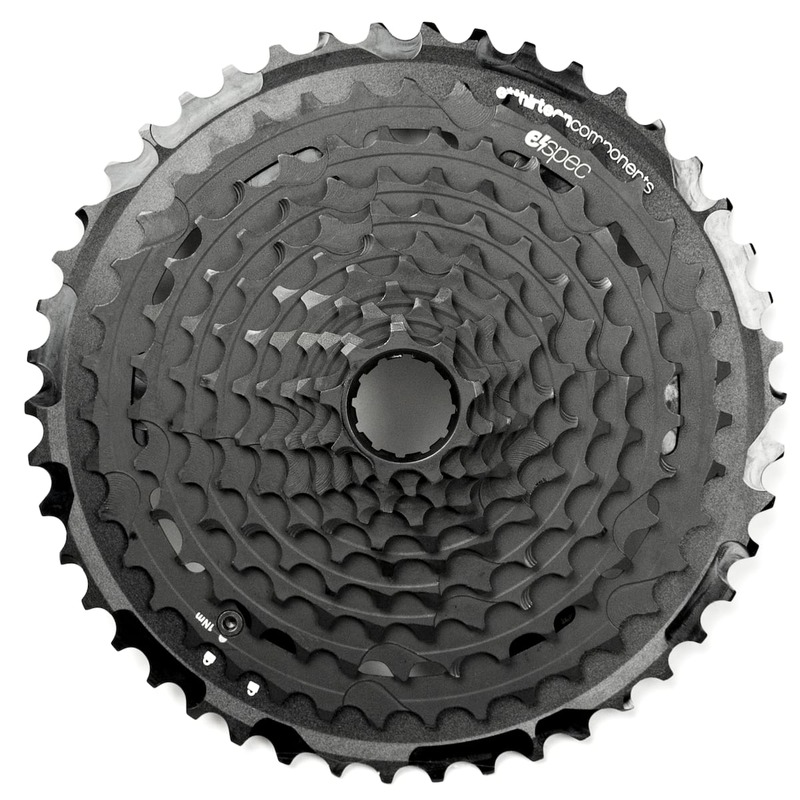 Yeah you read correctly – e*thirteen has a 12-speed cassette that spreads from a 9t small cog, all the way up to a 50t big cog. For the numbers folks out there, that equals a gear range of 556%. Which is also known as “really bloody massive“. Now compare that to the 500% range of SRAM Eagle, and the 510% range of Shimano XTR M9100, and you’ll see that e*thirteen has got itself a bit of an edge here when it comes to flat-out gearing spread. See that Shimano, SRAM? Read it and weep. Of course the 556% range is the headline grabber, but it’s worth pointing out that range is only one part of the equation when it comes to a cassette. The jumps between each gear are important, and having too big of a spread may mean the jumps between each gear may be more noticeable. That’s right – e*thirteen isn’t just releasing one new cassette. Alongside the new 9-50t big banger, e*thirteen will also be offering a 9-46t 12-speed option. We don’t have the full gear ratio information for that one, but we do that the small cluster is 9-33t, and the largest alloy sprockets are 39t & 46t. 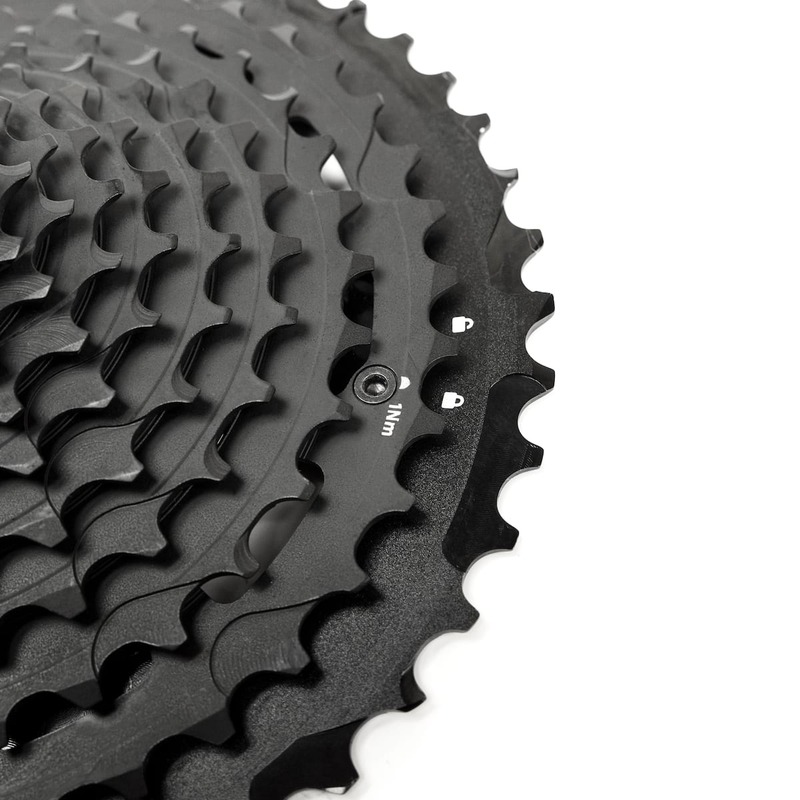 With a tighter spread, this 9-46t option may be the better choice for XC and trail riders who are a little more sensitive to changes in their cadence. The gearing spread is pretty even to begin with, and widens up as you get to the lower gears. The 9-50t & 9-46t TRS+ cassettes are all new. Like previous e*thirteen cassettes, they’ll will only fit onto SRAM XD freehub bodies, but e*thirteen says they’re compatible with Shimano and SRAM 1×12 drivetrains. 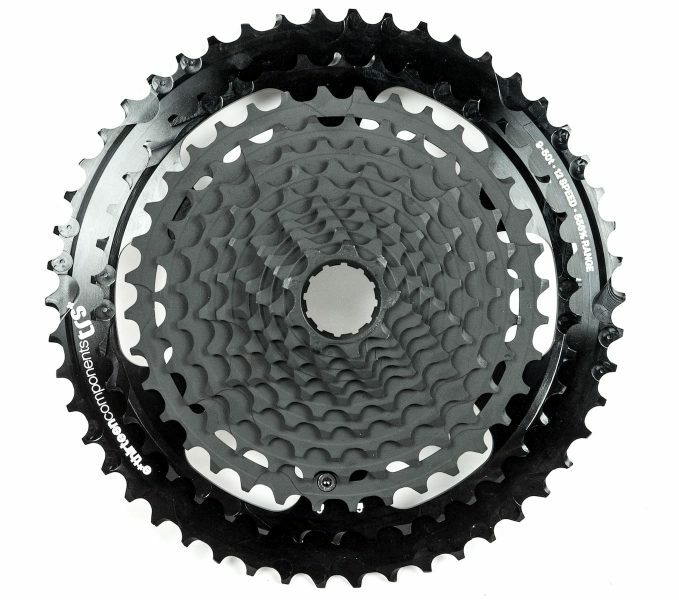 The cassettes still utilise a split construction, which separates the 12 sprockets into two clusters. However, the way that e*thirteen makes the new TRS+ cassette has changed from the previous version. 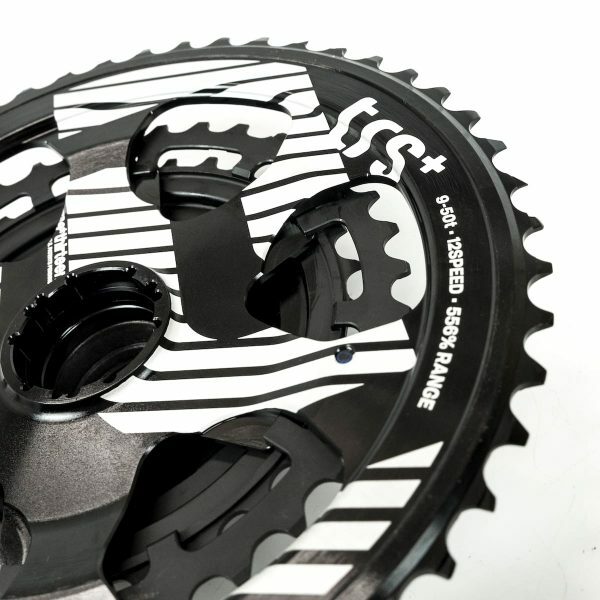 Now it’s only the two largest sprockets (42t & 50t, or 39t & 46t) that are made from alloy (rather than three on the TRS Race cassette), and the next 10 sprockets are made from steel. The two halves connect together with revised architecture that eliminates the needs for a special tool. All you need to fit them together is a 3mm hex key, which locks the two clusters together. Only a 3mm hex key is required to connect the two halves together. Those riders who aren’t yet ready to ditch their perfectly working 11-speed drivetrains need not be dejected, because e*thirteen has a new TRS+ cassette for 1×11 users too. 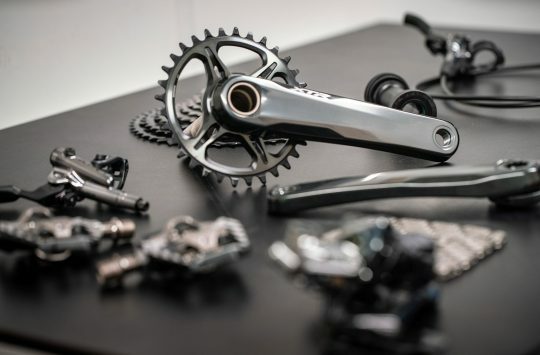 It retains the existing 9-46t ratio as the current TRS Race cassette, but the construction is all new, with all of the same architectural updates that the 12-speed cassettes come with. 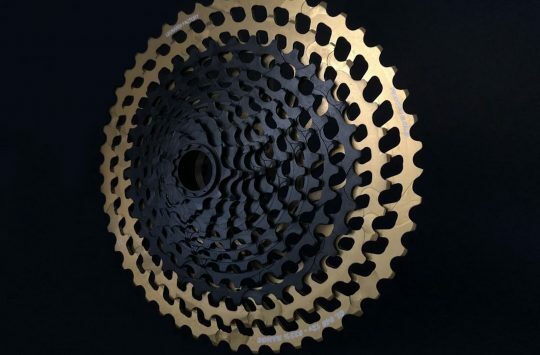 One thing worth noting on the new TRS+ 11-speed 9-46t cassette is that while it also splits in two, now it’s only the single 46t cog that is made from alloy. The rest of the block is made from steel, which should bring an improvement in durability. e*thirteen is also sufficiently happy with the strength boost that it now rates the 11-speed 9-46t cassette as being e-MTB compatible. You’ll see that cassette pop up on complete bikes in the near future, including the new YT Decoy that Andi recently tested. The 50t cog isn’t any bigger than SRAM or Shimano, but the 9t cog allows for a larger spread. And the new 11-speed option, which is apparently stronger and more durable than the previous one. 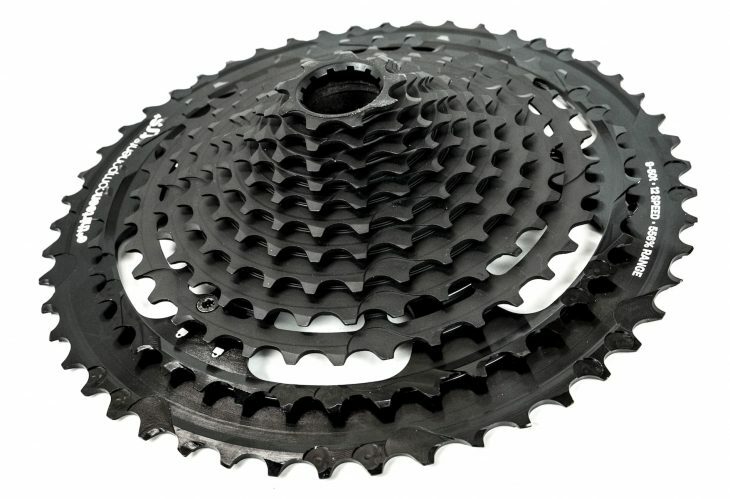 We recently reviewed the e*thirteen TRS Race 11-speed 9-46t cassette, so click that link if you’d like to read the full test. Otherwise, what do you think of e13’s new TRS+ cassettes? A welcome addition to the drivetrain market? Or not for you? If you have a hope hub with an xD driver you need a shim to use this cassette,they are available on e*thirteen’s website or you can use a 1 x 12mm washer.